Legendary drink of the Soviet era, that brings back nostalgic memories of the bygone nation and the most important events in life. A drink, without which it is impossible to picture the celebration of the most important family holiday – the New Year. It is also the go-to drink on weddings, anniversaries and birthday parties. An opportunity to gift them a drink with a meaning and acquaint them with traditions that are immortal, no matter where you are. The first champagne wine appears in the province of Champagne. Monk Pierre Pérignon lays the foundations of modern sparkling wine. The first appearance of Russian sparkling wines in Crimea. Production of “Ai-Danil” sparkling wine launched at a plant belonging to Prince Vorontsov. Production of domestic sparkling wine is established by Prince Golitsyn – the founding father of “Russian Champagne”. 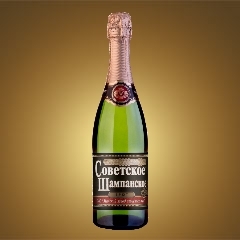 The “Soviet Champagne” trademark created with the support of the Council of National Economy. Construction of wineries started in the largest cities of the USSR and mass production of “Soviet Champagne” launched. 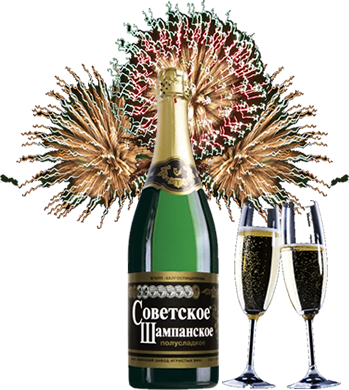 Registration of “Soviet Sparkling” trademark, under which “Soviet Champagne” is exported to the West. CaAlco Distributors Corp. is a Canadian fully licensed company supplying premium alcoholic drinks from former USSR countries to the Canadian market. The company operates throughout the territory of Canada. The selected products are marked by prestigious awards and prizes at prestigious international competitions. Product selection is based on marketing potential, attractive appearance and competitive price, that is, the factors that determine its success in the Canadian market. Our company works in with the largest alcohol distribution networks in Canada. We take on the responsibility of introducing new products to the local markets, with the help of effective marketing and promotional tools. If you are interested in purchasing Soviet Sparkling Wine in Canada, please fill out the form with your information. Our representative will contact you soon. * Minimum order – 1 case. Each case contains 12 bottles of sparkling wine.